The group is led by Matt Rose. Originally from Kansas, Matt spent 1994 to 2006 in Los Angeles where he operated a small music studio in his spare time. He received a Certificate in Film Scoring from UCLA Extension where he studied composition and conducting with Gerald Fried and Thom Sharp. He also studied composition and music theory with Dr. David Goodman at Santa Monica College. He spent one year at Hans Zimmer's Media Ventures working with composers Mark Mancina, Jeff Rona, John Van Tongeren and Nick Glennie-Smith. 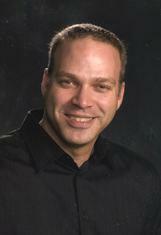 Matt was past president of the Denver Pops-Mostly Strauss Orchestra and was Director of Instrumental Music at St. Luke's United Methodist Church in Highlands Ranch from 2010-2011. As a native Coloradoan, Alicia began studying music at the age of 10. As a youth, she received awards for her piano composition, clarinet and saxophone solos, and received conducting training that enabled her to be selected to rehearse and direct wind ensemble, marching bands and pep bands. She was awarded Performing Arts Scholarships at Colorado State University where she received a Bachelor of Arts degree and studied with Dr. Charles Lawson and later with Abby Raymond of the Colorado Symphony Orchestra. Alicia is a communications consultant, freelance musician and has served on numerous non-profit board of directors including the LCMA. Violinist Traciann Heisler is a Colorado native who grew up in the South West Denver area and continues to live there with her son, two dogs and two guinea pigs. She attended the University Of Denver Lamont School Of Music where she majored in Music Education and Elementary Classroom Education. 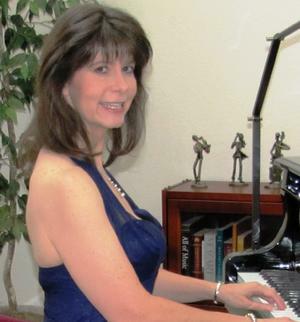 After graduation she began teaching elementary general music in Aurora Public Schools. While teaching she has received a Masters in Education from Regis University and has almost completed a second Masters degree in Information Technology. 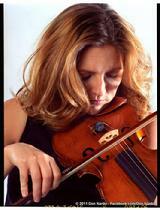 She has taught music for 20 years and currently teaches in the Jefferson County School District.